Hotel Viking has a welcoming, relaxed atmosphere perfect for couples and families alike. The hotel has a fantastic location at the top of the Pleney ski area (accessible by cable car from Morzine) so you can be the first on the slopes in the morning! At the end of the day relax on the sunny terrace with a drink or enjoy your evening meal in the restaurant which offers breathtaking views over the resort. You will also find an excellent range of childcare on offer in the hotel with both mini club and kids club available. Rooms: for 2 people on half board sharing a twin room with bath and WC. Triple, interconnecting and quad rooms are also available. Triple rooms have 3 single beds. Quad rooms have a double beds plus a pull out bed and are best suited for a maximum of 3 adults or 2 adults and 2 children. Twins and quads can be interconnecting (good for a family with up to 4 children). If 2 separate interconnecting rooms are required, 2 rooms with an 'I' must be booked, a quad with an 'I' is 1 quad room. Cots can fit in all rooms if occupancy is at 2 adults, though space may be limited. Single rooms are available at a supplement. All rooms have been recently renovated and have cable TV. WiFi is available in the public areas (extra charge). 4 course buffet style evening meal with waiter served main courses on some evenings On arrival day the first meal will be in the evening and on departure day a packed lunch will be provided. Please note: Packed lunch can be purchased from a selection of items each morning (each guest has a credit to the value of €16 per day), or the credit can be used towards lunch from the à la carte menu served on the hotel terrace. Non-skiers will need to purchase a walkers pass (approx. 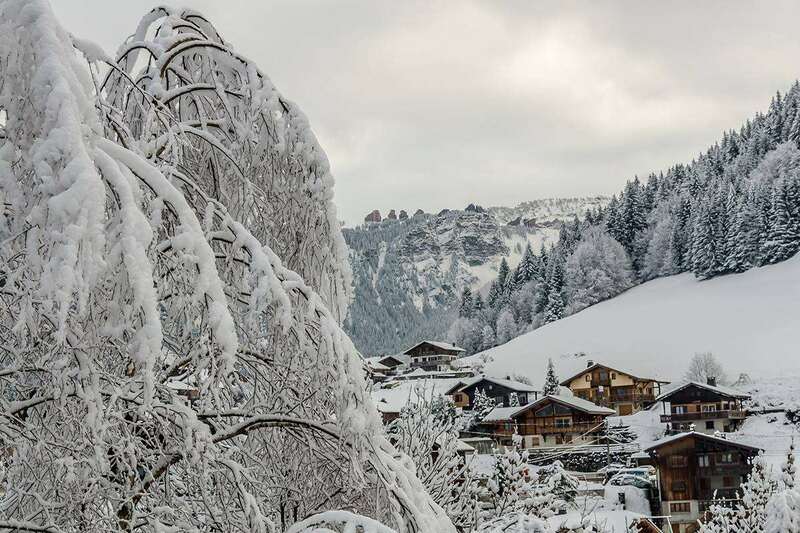 €50 for 6 days) to use the cable car from the hotel into the village of Morzine. The hotel went out of it way to produce gluten free food at every meal for our 3 coeliacs. Breakfast a tray of pastries and breads and choice of 2 cereals. Lunch & Dinner always produced beautifully presented separate meals so no chance of contamination by gluten. Even desserts when ice cream was on main buffet. Gluten Free birthday cake made for one child.